Come join our annual FUN RUN! Walk, skip, hop, run – bring the whole family! There’ll be jumping castles, a coffee stall and delicious breakfast – come join the festivities and enjoy our various stalls. 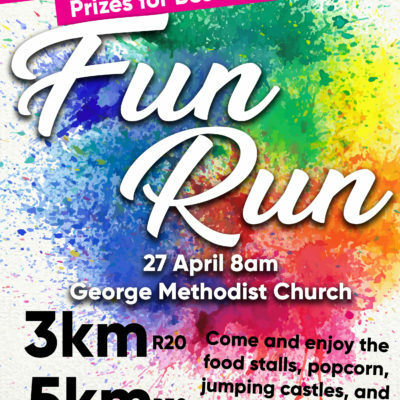 R20 for 3km and R30 for the 5km with loads of AMAZING prizes and lucky draws.